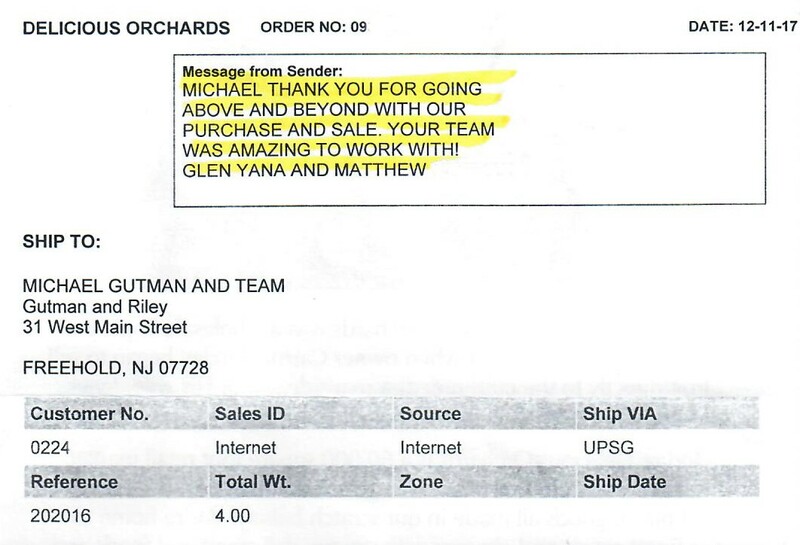 Just a note, Michael, to say thank you for the exceptional service you gave to my buyers. I was very impressed with your exceptionally helpful attitude. 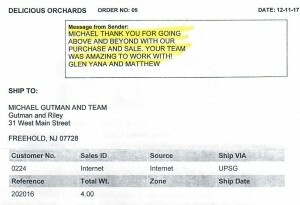 Good service such as yours is hard to find these days, and I just wanted to let you know that it didn’t go unappreciated.You made my customers move to New Jersey a real pleasure. Thank you for taking such good care of my clients. 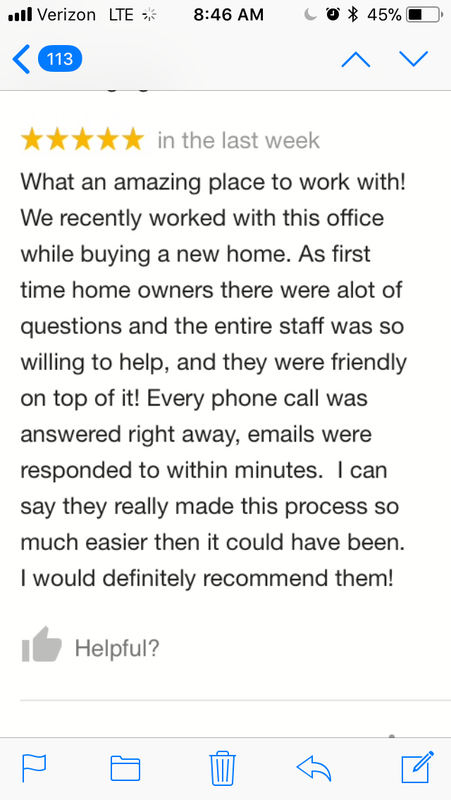 Alan and I were most satisfied with the service from you and your office at all times. You were patient with our impatience and were reassuring when we were confused. Our realtor did us a good turn when she recommended you. You were very easy to work with and we were confident we were being ably represented. 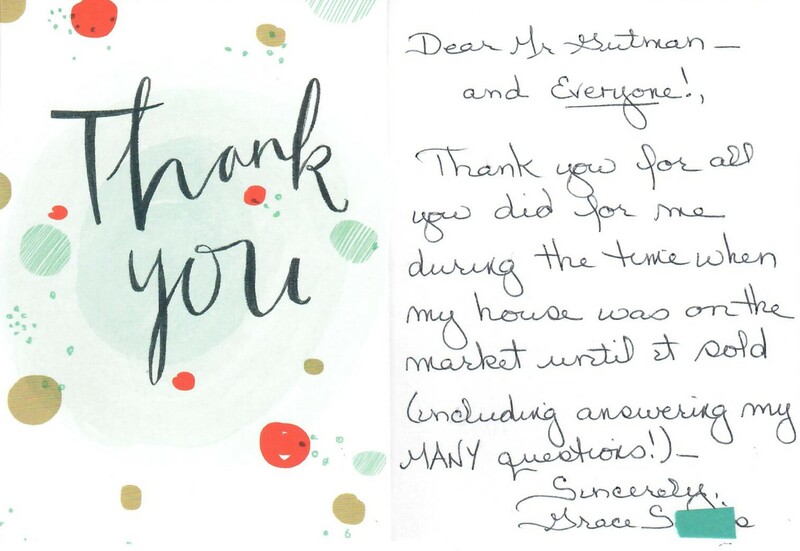 We appreciated your explanations at the closing itself.Helen and Alan S.Â Thanks Denise! . . . I have been really blessed with all of you. Each one of you have been very helpful. Thank you again! The closing was handled professionally with just the right touch of humor. Great job! I am very satisfied as I said, we will refer you to family and friends. 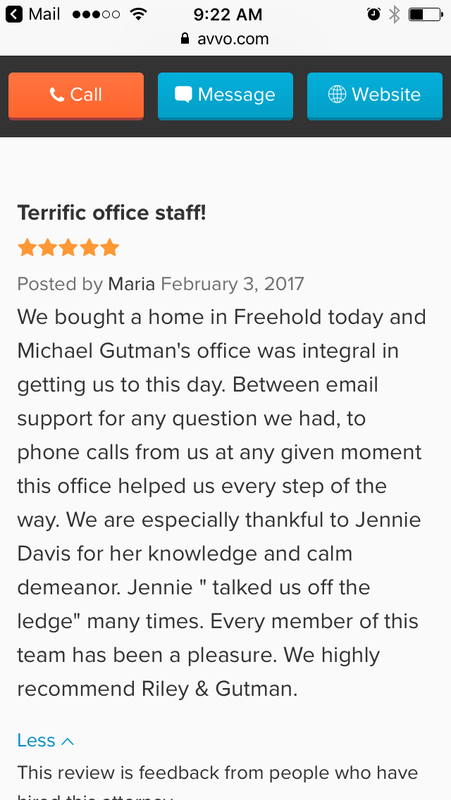 I just wanted to let you know that we were extremely pleased with the service we received from not only you – but everyone in your office. The main reason is that you were always “attainable”, you always personally took my call or returned them the same day. That made a world of difference. . . . . You took the time to go over the breakdown item by item so that we understood it. Your personal touch makes all the difference. Great! Magic also great! See you soon. If you are ever in Ft. Myers, FL and want to go sailing or scuba diving, give me call. P.S. You’ve ruined me, now I can’t tell any lawyer jokes with a clear conscience. 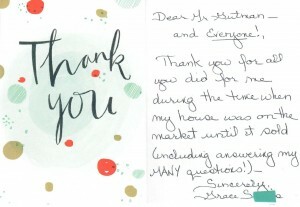 We want you to know how much we appreciated your professional services (especially for the “off hours”time you gave us). 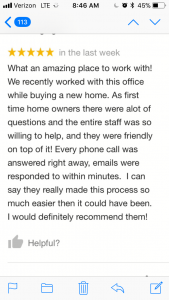 You helped to make the closing of our previous home and the closing our new home a lot easier than we have anticipated (you were always able to handle the obstacles regarding the sale and the purchase).We were very pleased with your service. We want to thank you for your professionalism, your knowledge, your caring phone calls and your prompt replies to our endless phone calls to you (including calling us back when we paged you at all hours.) Also, please know that all the people at your office that we dealt with were always very helpful when ever we called with a question or a problem.We would definitely use your firm when that need arises. Thanks for the extra mile too! May all of our future closings go as well as this one! Many thanks! Your team did an excellent job!